This Summer we have a number of activities and events for adults and children. From bat walks to fungi foraging, we’re sure there’s something that will appeal to you. 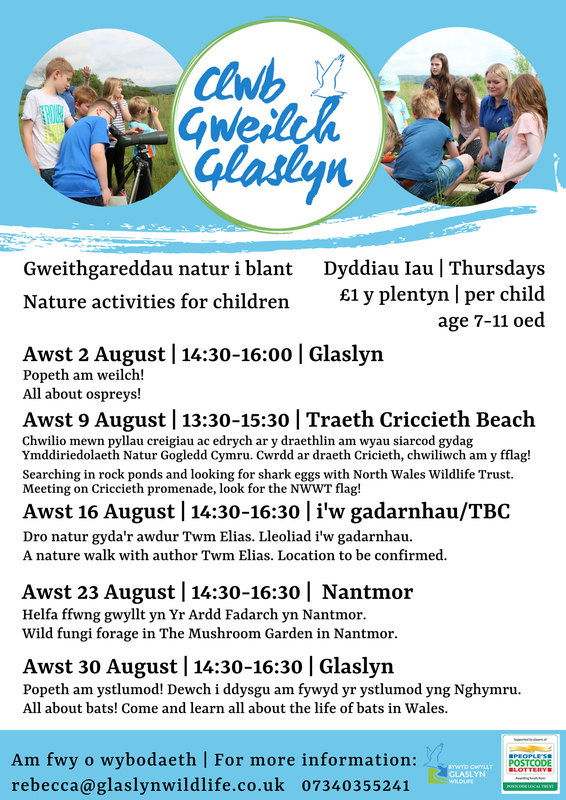 Our nature club for children, Clwb Gweilch Glaslyn, has weekly activities on Thursdays, details of which can be found in the poster below.